Ugh. Another Wednesday event when I have class. Watch, after May 27th nothing cool will ever happen again on a Wednesday night. What am I missing next Wednesday? A wicked cool Geeks dinner. Cool location, cool presenter. This must be my payback for being anti-social and hanging at the bar during the last few Geeks Dinners. Started over 16 years ago, by-then-RISD-students Jon Kletzien and Richard Dubrow, Downtown Providence-based Studio AMD has become the world’s most decorated architectural illustration firm (in 2008 alone, they garnered major awards from SIGGRAPH, ASAI and CINE). The studio works with many of today’s most influential architects including Daniel Libeskind, Michael Graves and Robert Stern. Using advanced digital tools, Studio AMD has extended its traditional 3D rendering services into film and communications as well. At the next Geek Dinner, Principal Jon Kletzien and Creative Director Richard Gonci will give an overview of the studio and its work (including Libeskind’s Vilnius Guggenheim project which was just selected for inclusion in the 2009 SIGGRAPH Video Review). In addition, this presentation will also mark the first time, Studio AMD has publicly demoed its next-generation “e-book” presentation tool. Please RSVP in here so that we can give the good folks at the Black Rep an estimated headcount. 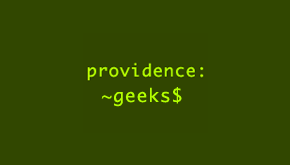 And while you’re at it, subscribe to Providence Geeks’ RSS feed and/or join our very-low-volume email announcement list (for the announcement list, send an email to Jack Templin, jtemplin over at Gmail with your name and affiliation). The event itself is FREE! Beverages will be for sale at the bar. It’s totally casual. Wear whatever, bring whoever, arrive and take off whenever! Topics of conversation will vary as they will at any gathering of geeks, but many of us will be talking about AJAX, mash-ups, start-ups, new devices, innovative business models, interaction design, social computing, digital art, web services, etc. etc. etc. This was a great event, and Jef, you definitely missed out. 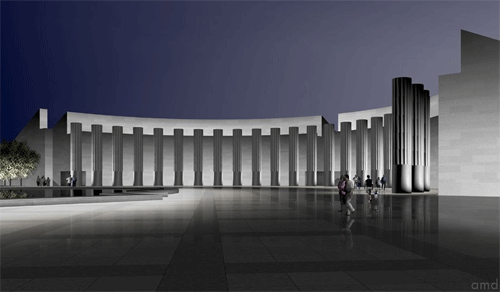 For anyone who loves architectural renderings (and who doesn’t? ), these guys are the best. It was my first time (hang my head) at Black Rep and the space is fantastic. Their eBook presentation format was pretty cool too.